Ministers from 11 Trans-Pacific Partnership countries are scheduled to gather Sunday in Hanoi, with Japan to push for the massive free trade pact to be put into force as soon as possible without the United States. Japan, the biggest economy among the 11 nations, is keen to gain agreement on “high-level rules” agreed on under the TPP, even though the United States withdrew in January due to President Donald Trump’s preference for bilateral trade deals, government officials said. Some countries that hoped to boost exports to the United States may be reluctant to implement just the 11-party TPP, arguing that without the world’s largest economy the pact would little benefit their economies. 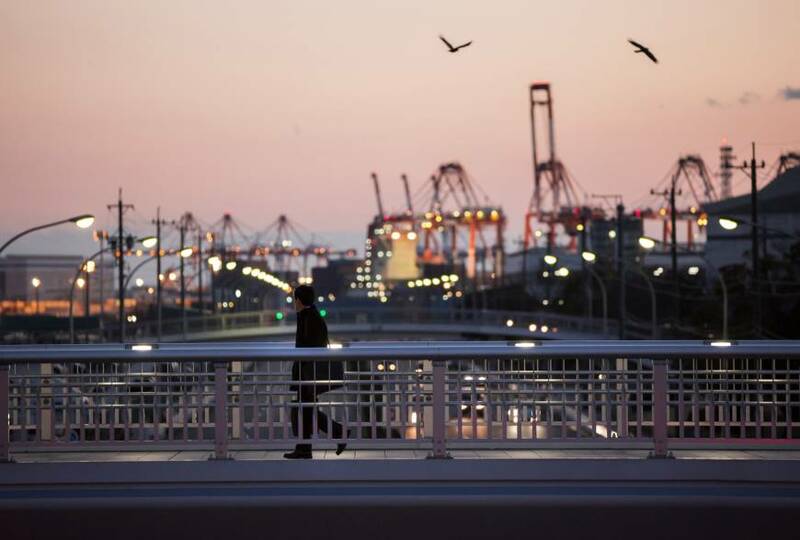 The focus remains on whether Tokyo can assume a leadership role in building a consensus on trade, as Japan’s TPP minister Nobuteru Ishihara has expressed eagerness to reach a certain level of certainty with the other 10 signatories by November. The TPP was signed in February 2016 by the 12 nations, including Australia, Brunei, Canada, Chile, Malaysia, Mexico, New Zealand, Peru, Singapore and Vietnam — covering around 40 percent of the global economy. On Sunday, ministers from the 11 members are set to hold a one-day meeting, co-chaired by Vietnam and New Zealand, on the sidelines of the Asia-Pacific Economic Cooperation gathering. 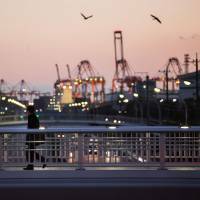 Japan had previously been reluctant to have the TPP come into force without the United States amid fears that such a deal would be unlikely to provide the tailwinds needed for Japanese exporters such as automakers and electronics makers. However, this view has shifted recently with growing calls for Prime Minister Shinzo Abe’s government to take the initiative in maintaining the free-trade momentum, counterbalancing the prevailing protectionist sentiment in the United States since Trump’s ascendency. Abe has long been promoting free trade as a key to growth under his Abenomics policy mix. “The TPP could be dead if we fail to map out a clear direction” at the ministerial meeting in Hanoi, Ishihara said at a panel of the ruling Liberal Democratic Party on Wednesday. In addition, Tokyo wants to enact the TPP soon, with Abe aiming to take the lead in establishing free trade rules within the Asia-Pacific region, as China’s massive economy gives the country inherent advantages, the government officials said. Beijing is not a signatory to the TPP. Earlier this week, China hosted a two-day “One Belt, One Road,” international forum, a program under which Beijing is trying to widen its economic influence in Europe and Africa. “Taking China’s move into account, Japan has to grab a leadership position to establish free trade rules in the Asia-Pacific region,” one of the officials said. Other countries, meanwhile, have been divided over whether to proceed with talks toward the realization of the 11-party TPP. Australia and New Zealand have aligned with Japan, but Vietnam and Malaysia have indicated disagreement with Tokyo’s proposal as they had hoped to take advantage of increased trade with the United States in order to expand their economies. Canada and Mexico have been unwilling to irritate Trump by joining the 11-nation TPP, as they stare down a possible renegotiation of the North American Free Trade Agreement with Washington in the near future. “At this juncture, it is very unclear whether we can pave the way at the upcoming gathering for the conclusion of the TPP without the United States by November,” when the APEC summit will be held in Vietnam, the Japanese official said. “The only thing the 11 nations have agreed is that we will make efforts to persuade the United States to return to the TPP,” he added. At Sunday’s meeting, the 11 responsible ministers are expected to discuss the creation of new procedures that would enable Washington to easily return to the free trade pact if circumstances were to change. Under current rules, the TPP requires ratification by nations accounting for 85 percent of the combined gross domestic product of the 12 countries. The deal was therefore effectively dead following the withdrawal of the United States, as the nation represents over 60 percent of the trade bloc’s GDP. So far only Japan and New Zealand have ratified the TPP deal. The Trump administration, which pledged to pull the United States out of what the president called a “job-killing” free trade pact during the election campaign, has not stopped the remaining 11 countries implementing the TPP. With the outlook for the TPP remaining uncertain, Japan has also promoted talks on the 16-member Regional Comprehensive Economic Partnership, which is led by China and does not include the United States. Some analysts have voiced concern about high-level trade rules established under the RCEP given Beijing, the biggest economy in the group, could seek to impose rules for the Asia-Pacific region favorable to itself.